Economic growth in Spain has been strong but is projected to moderate in 2019 and 2020. Even so, the unemployment rate will continue to decline, but remain high. Similarly, Pakistan has a population of over 207 million (the world’s 5th-largest), giving it a nominal GDP per capita of $1,641 in 2018, which ranks 147th in the world and giving it s PPP GDP per capita of 5,709 in 2018, which ranks 130th in the world for 2018. 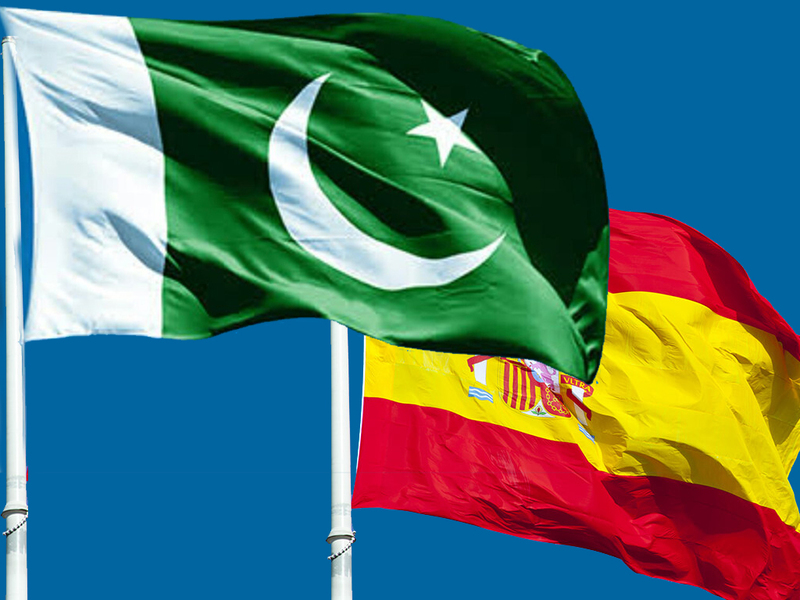 Both the countries enjoy cordial diplomatic and political ties, but trade ties between both the countries are growing day by day and there are various op­portunities to double the trade volume in various sectors including Textile, Machinery, Tourism and renewable energy because Spain attaches great im­portance to Pakistan for its trade relations and there was an equal opportunity for Pakistan to capture European trade markets. The volume of bilateral trade stood at $1.11 billion in 2017, of which Pakistanis made $904.52 million export, while imports from Spain were only $208.5 million. Pakistani exports recorded a phenomenal increase of 44 per cent immediately after the grant of GSP plus status to Pakistan by the European Union (EU) in 2014. Similarly, in the next year a 24 per cent increase was documented which reduced to 5 per cent during the year afterwards. The members that tourism now turned into an industry and it covers 11 percent of its GDP so there is a need to explore this area and Pakistan cam take a huge benefit from it. Business to Business meetings and exchange of trade delegates is very important to strengthen the trade ties between the two countries. There is a need to venture new avenues for mutual cooperation in tourism, cultural exchanges and technology transfer in Heating, Ventilation, Air-conditioning and Refrigeration (HVACR) sector. Sincere and coercive efforts and dedication is required to promote business and commerce through the exchange of visits and expos between the two coun­tries. Spain always get an overwhelming response from Pakistani business com­munity and his country is eager to increase the trade volume in Sports goods, surgical instruments, Poultry, agro, engineering, textile, gem and jewelry, leather and marble sector. Published in The Asian Telegraph on January 29th, 2019.